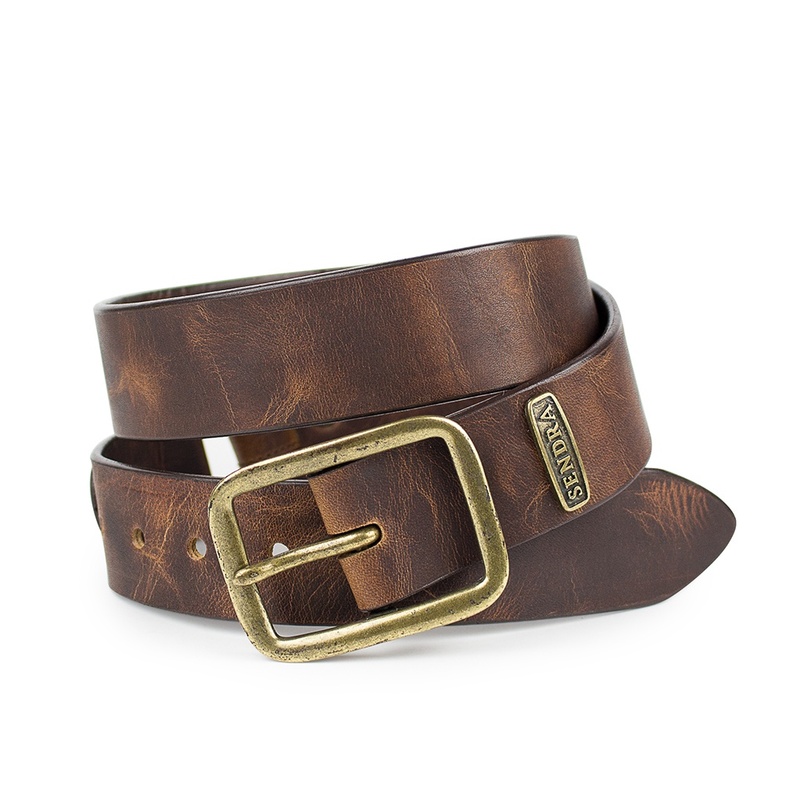 Handmade in Spain, this is a premium quality, hand made leather belt. It features a bronzed metal buckle and studs. The holes for the buckle are on a seperate piece of leather connected to the main belt by a bronze loop and studs. This is an outstanding hand crafted belt that will make you stand out from the crowd.